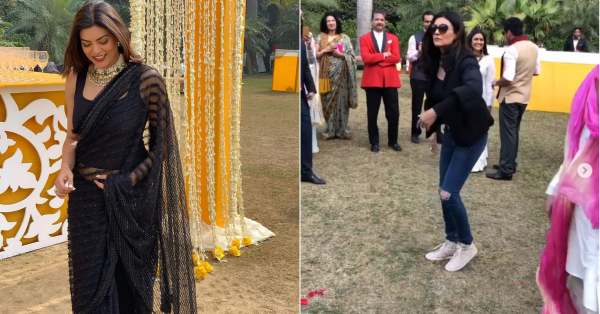 Sushmita Sen Was The Perfect *Baraati* At Her Nephew's Wedding In Delhi! Sushmita Sen is one helluva person. She's so much fun, always smiling and showing us a side to life we didn't know existed - whether it is with breaking stereotypes by adopting baby girls or falling in love. But that's not all we love about her. Recently, she's been giving us too many #shaadiguestgoals by being the most fun (and gorgeous) person at the weddings she attends, just like this one she was at this weekend. Sush's nephew got married in Delhi this past weekend and she was the perfect maasi/bua, laughing, dancing and having a gala time. 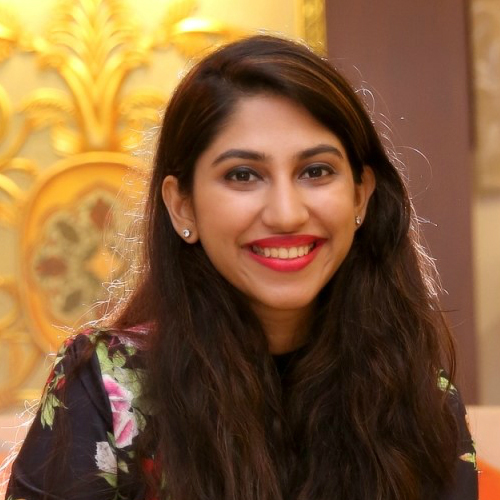 In the videos she's posted on her Instagram, she's dancing on her hit song Chunari Chunari with the groom and having such a good time that we couldn't help but wish we were there to see her in her element. She even taught some guests at the hotel how to enjoy a Punjabi wedding - by dancing your heart out. Have a look. Dressed in a gorgeous black embroidered saree by Neeta Lulla, she looked resplendent. Sush complemented the saree with a pearl and emerald polki set by Anmol Jewellers. We knew black looked good, but she just took it up a notch. A sight to behold, truly. Uffo Sush! Stop being so gorgeous. You're putting all our shaadi looks to shame. But we love you no less!